The Woolen Mill/Milton Street Bridge over the Schroon River, connecting Milton Street to River Street was constructed circa 1895 by the Groton Bridge Company. 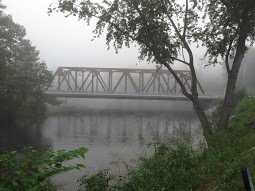 It previously served as a trolley bridge in a different location. 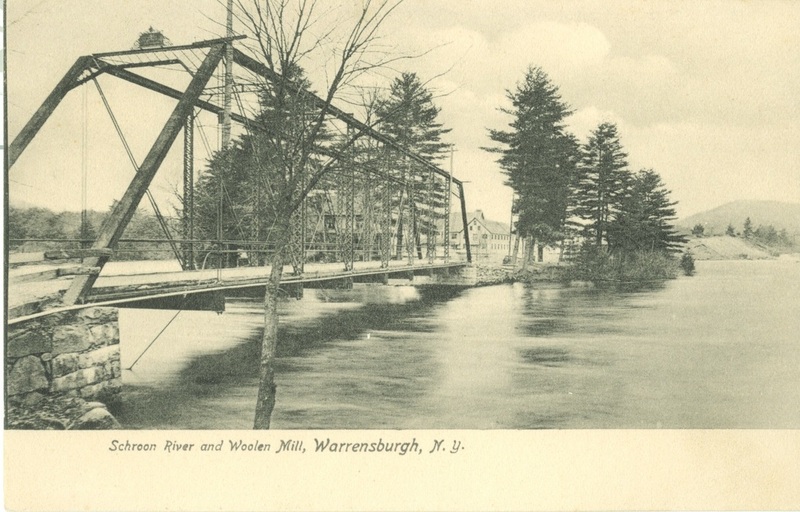 Transported to Warrensburg in sections, it replaced an 1876 bridge. In 1946 an overloaded pulp truck caused great damage to the wooden deck, closing it for repairs. Later, in 1969 a steel deck was installed replacing the wooden one. 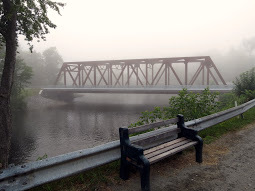 In April, 2008 the bridge was closed due to a collapsing abutment, never to be used again. Targeted by Warren County for replacement, the bridge was removed April. 2010 and a new double-lane bridge opened July 11, 2011. 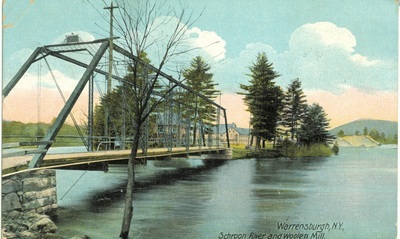 The two plaques on the previous bridge showing the builder and the town officials of Warrensburg were saved. One is at the Farmers' Market Park on River Street, facing the new bridge, and the other is at the Warrensburgh Museum. 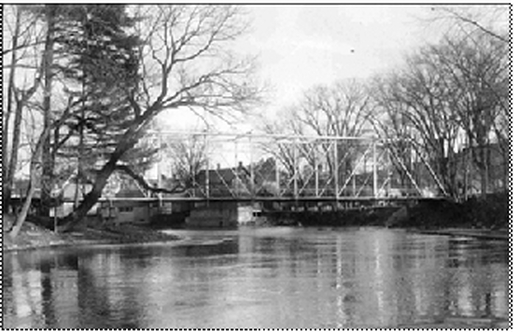 The Woolen Mill Bridge was originally constructed in the late-nineteenth century as a railroad or trolley bridge. 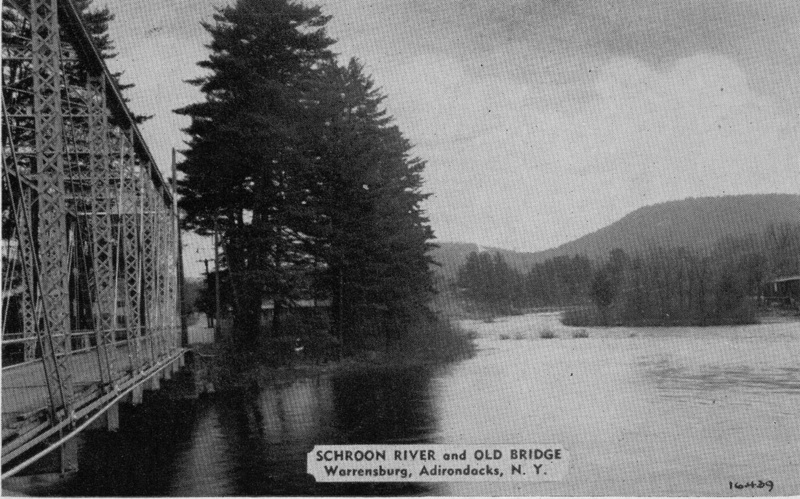 It was moved to this location in 1903. It is a highly intact and significant resource reflecting the important role transportation played in the historic development of the hamlet. 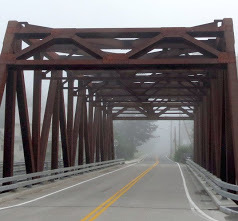 It is an intact and contributing example of the through Pratt truss design, constructed by Croton Bridge Manufacturers.